“at 10:30 a.m. special meeting – production, marketing, creative advisors – for a new advertising campaign: set up hall for 12 people… at 1:00 p.m. breakfast meeting with clients from Northern Europe: arrange for 18 people… at 4:30 p.m. closed meeting with Middle East Area: 7 people… at 7:00 p.m. welcome cocktail for an Australian group of representatives: set up for about 20 people… “. Make sure you’re always ready and arrive On Time, to set up a space for welcoming people for meetings, presentations or business lunches… Once the meeting is over, everything gets back to normal: everyone resumes his work, everything is back in order, every armchair is in its place… On Time is ready for the next event. LAMM has a long-standing presence in the contract sector with important installations throughout the world. LAMM services are expanding to include an outstanding series of new products capable of meeting specific project requirements with great flexibility. One of the most interesting new products is On Time, an innovative armchair that has undergone a radical restyling, specifically designed to meet the functional needs of contemporary communication areas meant for fast and frequent layout changes. 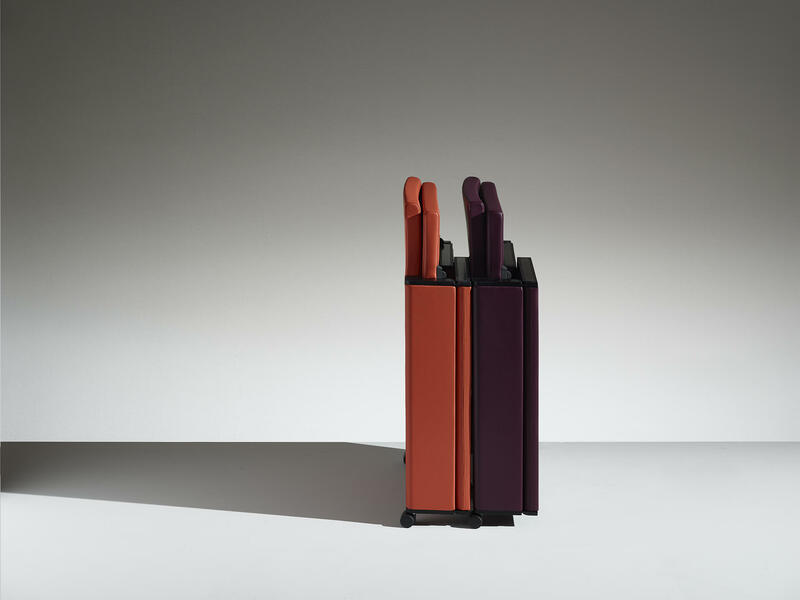 The special feature is an exclusive motion system that makes it possible for seats and sides to be folded over the backrest. 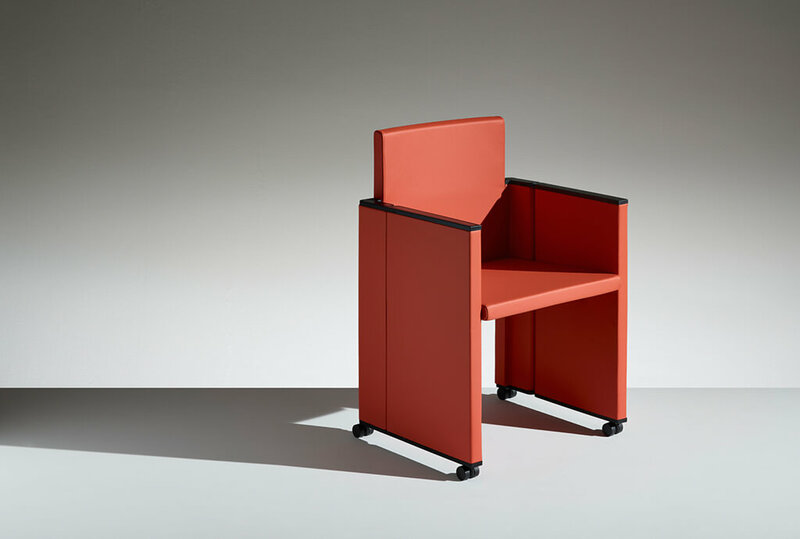 This chair, designed by Baldanzi & Novelli, can be easily closed, stacked and kept in small storage rooms after use. Ideal for multifunctional areas, conference halls and meeting in hotels, offices, business headquarters or training centres, this armchair stands out for its lightness and the originality of its essential design. On Time is practical, functional, comfortable and available in a wide range of upholstery fabrics and colours, making it the perfect solution for any environment.